The founder of the company Bio Pest & Hygiene Sdn. Bhd. has accumulated more than 30 years’ experience in the pest control management prior setting up this business, the pest control division continues to develop safe and environmentally friendly exterminator services and continue to uphold the basic principles of integrity, customer service and satisfaction, quality control, safety and ongoing pest control education. Our services include the identification & eradication of all household pests. We control infestation and eradicate termites, cockroaches, ants, mosquitoes, flies, bed-bugs, rats/rodents & mice, fleas & any pest which are not only a nuisance to mankind but hazardous to health. 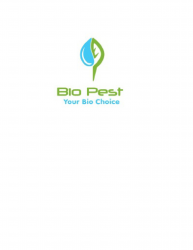 We are trained and certified technicians from Ministry of Agriculture Malaysia and equipped with wide experiences and knowledge of all kinds of pest available in Malaysia.